THURSDAY, Aug. 4, 2016 (HealthDay News) -- In another key step toward a vaccine against Zika virus, scientists have found that three different experimental vaccines are safe and effective in monkeys. Human trials have not yet begun, but experts said the results in monkeys are a critical step in developing a vaccine against the mosquito-borne virus. Non-human primates are the "best model we have" for gauging whether a vaccine could be safe and effective for people, said researcher Dr. Dan Barouch. "This gives us substantial optimism moving into human trials," said Barouch, who directs the Center for Virology and Vaccine Research at Beth Israel Deaconess Medical Center in Boston. The findings were published online Aug. 4 in the journal Science. Other Zika vaccine research is also showing promise. On Wednesday, U.S. health officials announced that a potential vaccine for the Zika virus has entered early clinical trials to assess its safety in humans. The DNA-based vaccine contains genetic pieces of the Zika virus that are designed to trigger an immune response, according to a statement from the U.S. National Institute of Allergy and Infectious Diseases (NIAID). At least 80 healthy volunteers will receive doses of the NIAID vaccine on differing schedules as part of a phase 1 clinical trial, the agency said. Researchers will observe the volunteers during a 44-week period after their first dose, to determine if the vaccine is safe. These vaccine reports come at a time of growing concern about Zika in the United States. For most people, the virus causes no serious problems. But infection during pregnancy can lead to severe birth defects, including microcephaly -- where babies are born with a small head and underdeveloped brain. Worldwide, most Zika cases have occurred in Latin America. Brazil -- the host country for the 2016 Summer Olympics that begin Friday -- has had the vast majority of both Zika infections and microcephaly cases. But last week, Florida reported the first locally transmitted cases in the United States. As of Tuesday, Florida health officials said that 15 people had been infected. In response, the CDC issued a travel warning, telling pregnant women to avoid the affected Miami neighborhood. Beth Israel's Barouch said: "The World Health Organization has declared the Zika epidemic a public health emergency. So, the development of a safe, effective vaccine is a priority." In the Beth Israel study, Barouch's team immunized rhesus monkeys with three different experimental vaccines. One, known as a purified inactivated virus (PIV) vaccine, contained a killed Zika virus. It's a standard way to create a vaccine. The other two are newer approaches, Barouch said: a DNA vaccine and a vector vaccine, which uses a modified cold virus to introduce Zika proteins to the immune system. All three, it turned out, spurred the monkeys' immune systems to produce Zika-fighting antibodies. More important, all three protected the animals from infection when they were exposed to the virus. There's no guarantee any of the vaccines will work as well in people as they did in monkeys, said Dr. Amesh Adalja, a spokesman for the Infectious Diseases Society of America who wasn't involved in the study. But he called the results "very significant." Human trials are set to begin, according to Barouch. The Walter Reed Army Institute of Research, which collaborated on the Beth Israel study, expects to start testing the PIV vaccine this fall. 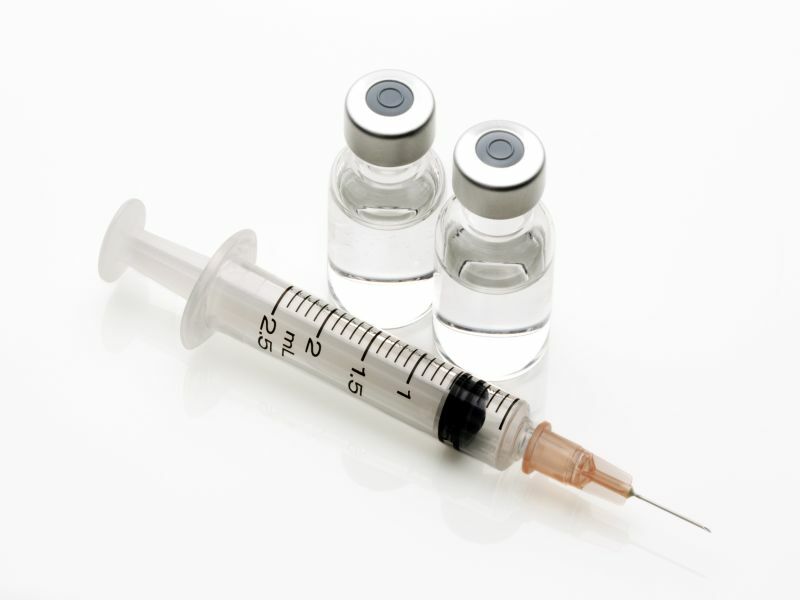 The PIV approach to vaccination is "tried and true," said Adalja, who is also a senior associate with the University of Pittsburgh's Center for Health Security. Right now, no licensed vaccine is based on DNA or adenovirus technology, he noted. But, Adalja said, "DNA vaccines are considered to be the vaccines of the future." That's, in part, because DNA technology could allow vaccines to be made quickly on a large scale, Adalja explained. Traditional vaccine production is a slow, inefficient process. How long could it be before any Zika vaccine is approved? Barouch said he couldn't speculate. But what's clear, according to Adalja, is that a vaccine is not right around the corner. "People should not hesitate to take any necessary action on mosquito control," he stressed. "That's the best preventive measure we have right now." According to the CDC, anyone living in or traveling to an area affected by Zika should try to avoid mosquito bites -- by using repellant and wearing long-sleeved shirts and long pants, for example. People should also make their homes less attractive to mosquitoes, the agency says. Remove any standing water where mosquitoes can lay eggs; repair broken screens that can allow the bugs inside; and use insecticide to kill mosquitoes where they rest -- usually dark, humid places around and inside the house, the CDC advises.